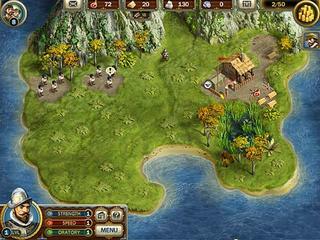 Adelantado Trilogy: Book Two Collector's Edition is a sequel to a strategy game released long ago. The first one, Adelantado Trilogy: Book One was an adventurous story of Don Diego. That game was very entertaining and enjoyable and addictive. This one really follows the pattern. 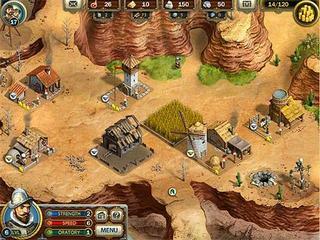 The game features four modes of difficulty. This is not only to impress you but to offer a certain degree of replayability. Chances are you enjoy this game big deal. You might want to go back to the first release to, first, get a few more hours of the great game, and secondly, hear the original story. The story is not a problem, of course. It's just that it is not much different and it basically just continues on in the Second Book. Again, you follow Don Diego on his journey in the jungle. The graphics are wonderful as in the previous release. Both the territory seen from above and the villages up close look great with beautiful colors and detailed depiction. The game features four modes of difficulty. This is not only to impress you but to offer a certain degree of replayability. You do have to build a lot and provide for your crew, and be on the look out for many things. As many of the games of this genre do, this one also has you constantly think about the upgrade of all the resources. Apart from that, you will have to meet daily requirements which can effect your score. It's always better to keep your score high is you want since games tend to reward it at the end. The game is definitely worth attantion and is absolutely gorgeous in it's all aspects. This is Adelantado Trilogy: Book Two review. Download this game here.